Wayne was born and bred on the East Coast completing his schooling in Gisborne. Joining the Royal New Zealand Navy in 1973 he served for 20 years which included postings on six ships, several shore bases including peace keeping missions in Cambodia and 2 ½ years with the Defence Force in Singapore. 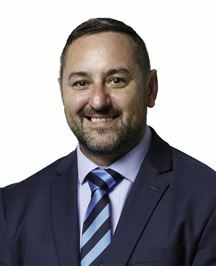 Retiring from service in 1994, he joined Harcourts in Birkenhead, Auckland and with Harcourts has worked in the North Shore, Gisborne and the Kapiti Coast where, in 1999 he accepted a position as Auction Manager. Wayne, together with his wife Roslyn and their two girls have called the ‘Coast’ home ever since and quite simply love the place. Presently, Wayne is the Manager of Harcourts Paraparaumu and is heavily involved with calling Auctions both commercially and on the charity front. Socially, he enjoys surf casting and is a member of the RSA and several other social clubs. Andrew has lived and worked in the Kāpiti Coast area for over ten years, and currently lives in Paraparaumu Beach with his partner, Katie and their two sons. Originally from Liverpool, in the UK, Andrew moved to New Zealand in 2002, living in Wellington before moving up to the Kāpiti Coast in 2008. Andrew is based at Harcourts Paraparaumu, and is an active and well-known member of the community, having built up a successful business, MENtality Barbers, and for his involvement in adults and childrens football. Prior to Real Estate Andrew has owned and managed hair salons across New Zealand and has been a member of Artistic Teams for Redken and L’Oreal. It is through working with people one-on-one for over 25 years, that has enabled Andrew to transition so easily into Real Estate with his friendly and approachable nature. 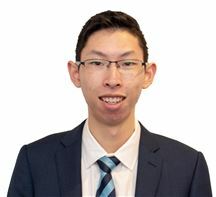 Socially, Andrew enjoys spending time with his family, has a keen interest in football and in his downtime can be found kitesurfing, wakeboard or snowboarding depending on the season! Call Andrew today to talk about your next property adventure! In the last 16 years Bruce has been specialising in property development, working on industrial subdivisions, medical centres, student accommodation and new and redevelopment of retail properties, which included two new bank branches in the Auckland, Manawatu and Wanganui regions. With Bruce’s wife (Alison) owning a retail shop selling books, toys, kitsets and die cast models, this gives him a great understanding of the leasee’s requirements. After a 16 year break from selling real estate he is back in the profession he enjoys the most. Bruce has a background in the Auckland real estate market, where he worked for 10 years as an award winning rural/special projects consultant in the 1990s. He was awarded, on numerous occasions, the REINZ top rural salesperson in the Auckland region and top overall salesperson in the country for a national network (105 offices). In total Bruce was responsible for in excess of 250 transactions with a total sales volume of over $106 million. Bruce has a strong passion for helping people. He is friendly, approachable and has an ability to look outside the square. He effectively builds rapport and offers a high level of service. Bruce will be based at Harcourts on the Kapiti Coast. With his knowledge in commercial and rural properties Bruce can help secure your real estate needs. Whether you are a buyer or a seller he can help you achieve the result you are looking for. Call today for a friendly chat, with no obligations, regarding your real estate requirements. Chris’s values for success in the Real Estate Industry are People, Patience and Integrity, ensuring that people are given options guidance and information to make the right choices. Consistently being a top performer for the Paraparaumu office is an honour which is attributable to attitude and a conscientious work ethic. Chris has many years experience in sales, recruitment and having been an owner operator of a number of successful retail businesses; Her results are proof of what she stands for. Negotiation training started on a South Island farm for Chris, coming from a family of eight you learnt from a young age how to achieve a win win situation. Chris & husband Graeme enjoy living on the Kapiti Coast with all it has to offer. Licensed Salespersons & Licensed Auctioneer REAA 2008 DOUG PALMER Licensed Salesperson & Licensed Auctioneer REAA 2008 Doug & his wife Jan have worked together as sales consultants in the Paraparaumu branch of Harcourts since 2003. Jan has now chosen to remove herself from the front line and become Doug’s personal assistant. They have been married for 9 years and are one of the most successful partnerships operating on the Kapiti Coast. Doug & Jan go the extra mile in assisting owners present their property for sale. They have been known to mow lawns, water blast houses and decks, declutter and make trips to the dump. Doug & Jan have a reputation for looking after tenants when landlords are selling their investment properties. They recognise the importance of having the tenant’s cooperation in order to achieve a successful sale. Doug recently received two prestigious awards. One a Gold Achievement Award for outstanding real estate and second in the Auction Lister award for the quarter April to June for the lower North Island. Arguably Doug is the most prolific and most successful auction listing agent operating in the Paraparaumu / Raumati area. In 2017 all but one his auction properties sold on auction day. As a team, Doug & Jan have worked with dedication to build up their business resulting in many awards. Doug & Jan have been one of the top performing agents for the Paraparaumu office for many years. They are proud to represent New Zealand's most trusted real estate brand for the last 5 years (as polled by Readers Digest). Harcourts has been assisting New Zealanders with real estate since 1888. Doug has lived on The Esplanade in Raumati South for 33 years and is passionate about the Kapiti area and Raumati South in particular. He is seen most days walking his two little bichons on the Raumati South Beach or one of the Queen Elizabeth Park tracks. Doug has just completed walking 24 Km as part of the Taupo Ultra Marathon ( 14 October 2017). Not only to celebrate his “significant birthday” but to create awareness of an unheralded charity called “Whirlwind” who by making men feel better about themselves may help reduce the horrific number of suicides committed by men (515 men took their own lives last year). If you would like to contribute to Whirlwind please visit the Give a Little website and search for Whirlwind. He has two sons, William and Sam, and 5 grandchildren. He previously came from a teaching background having taught mathematics for 18 years at Kapiti College. In that time was the producer of 9 musicals for the college and coached the first fifteen for a number of years. During the 32 years he has lived in Kapiti he has been involved in Paraparaumu Junior Rugby, the administration of the Kapiti Club (he was the President for 9 years and had life membership bestowed on him in 2012). When time permits he is an enthusiastic member of the Kapiti Playhouse and has played the Dame in many pantomimes and played many other leading roles. Doug the Auctioneer Doug is instrumental in the organisation and auctioneering for the yearly fundraising Mary Potter “Fish Auction” in association with the North Island Spear Fishing Contest. This activity has raised over $32,000 for the local Mary Potter Hospice. He has a passion for auctioning either selling houses or raising funds for charitable causes. His recent charity fundraisers include the Eastern Hutt Rotary Club's Golf Tournament for Te Omanga Hospice, Paraparaumu Beach Kindergarten, The Arthritis Foundation, The Ernst & Young Charity Auction (Doug – thank you so much - you were fabulous) an auction for a young Kapiti College student who was diagnosed with myelocytic leukemia, Raumati Beach School, Kapiti College Performing Arts Centre to name a few. He willingly offers his services for those who wish to take advantage of his auctioneering skills. Helene married Wayne 30 years ago they have two girls who are now making their own careers. After living in Christchurch and Whitby Helene and Wayne made the move to the Kapiti Coast in 2007 and quite simply feel they should have made the move earlier. The single level home and flat section in the friendly, peaceful atmosphere of coast living is a great fit for all the family. Helene has gathered huge experience working one on one with customers, after 20 years in the retail industry including management positions. The move to Real Estate was a natural progression and she loves it, her low key professional approach fits in well with the kiwi home buyer. Make the call today. James was born in Wanganui and raised in Paraparaumu, James’ local knowledge is second to none and he is proud to be working with his local community backed by New Zealand’s largest and most trusted real estate company- Harcourts. James has an interest in aviation, motorsport and property- in particular home improvement. James joins the real estate industry with a wealth of experience from a successful background in customer service, retail management and banking. Along with his passion for real estate, customer focused approach, energy and enthusiasm this is sure to be the winning combination. James is skilled in modern and traditional marketing methods and is dedicated to achieving the best outcomes for his clients. After a very successful real estate career in Wellington, Robyn returned to university and completed an honours degree in psychology. Now living in Raumati, Robyn’s interest in people, property and problem solving have drawn her back into real estate. A former nurse and health counselor, caring for people and supporting them through what can be a stressful time is second nature to Robyn. She is thoroughly professional and practical, focusing on meeting client’s needs to ensure the best possible outcome. With her wide industry knowledge, warmth, empathetic approach and specialised people skills, Robyn can make a crucial and rewarding difference to your real estate experience. 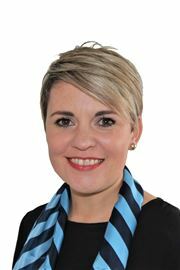 Talitha, her husband and two boys have just recently relocated to Paraparaumu from Alexandra and she is very excited to continue her successful Real Estate career with the dynamic team at Harcourts Paraparaumu. 11 Years in the hospitality industry made her realize what a passion she has for people. "I believe in making life long clients & a few even turn into good friends." Whether you are buying or selling, you will feel at ease with her fresh approach to Real Estate. Her positive & down to earth personality is addictive and you can be sure she'll achieve the best possible outcome for you. Trudi is an award winning Real Estate Sales Consultant because she is passionate about property through life experience. She has built new homes, renovated old ones and has rental properties. Real Estate trickles through her veins. Trudi will make a point of difference by “KEEPING IT REAL”. She will be working hard to become an expert in your neighbourhood. Trudi's has also been a real estate office administrator for over 6 years. This has equipped her with exceptional organisational skills, knowledge and hand on experience of systems and processes within the real estate industry. Combined with her passionate approach, empathy and understanding of people she will exceed your expectations. Trudi has a positive, caring, vivacious nature, which makes her a pleasure to work with. She is married and has two boys, Hunter and Carter. This keeps her grounded and very structured which helps her organise her day so she can dedicate all her time and energy to her job. Number 3 - 2012/2013 Number 1 - 2013/2014 Number 1 - 2014/2015 For an award winning Sales Consultant that you can rely on, Call Trudi Now. Jan was fortunate to be born in Gisborne and is the eldest of 12 children. Being one of 12 children and raised in Porirua taught the family to be self sufficient and very motivated. It is this motivation that Jan brings to real estate. Jan started her working life many years ago with the Post Office as a bank teller. Other career moves included working for Parliament running a member of parliament’s electorate for eight years helping constituents, and managing Victim Support at the Lower Hutt Police Station. Jan spent 3 years in this role assisting victims of crime, accident and emergency. She also worked as a real estate consultant for Harcourts in Lower Hutt. Jan has been a Justice of the Peace for 13 years and a Rotarian for 11 years. 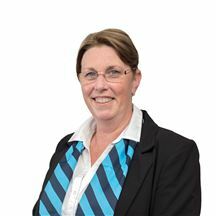 In October 2003 Jan re-commenced her real estate career at Harcourts, Paraparaumu working with Doug, her partner in life. Doug came to Harcourts from a teaching background having taught mathematics for 18 years at Kapiti College. He also coached the college first 15 rugby team for six years, and also produced nine musicals. During his 22 years as a Kapiti resident, Doug has been involved in community affairs. He has been President of the Kapiti Club for the last four years and has been elected unopposed for a further term. He is an enthusiastic member of the Kapiti Playhouse. His latest stage appearances have been the lead role as Pseudolus in “A Funny Thing Happened on the Way to the Forum” and Widow Twankey in the pantomime “Aladdin.” Doug & Jan have a reputation of awesome day to day service to their vendors and have shown they can achieve top prices for the properties they market. They recently achieved an award for $20 million settled sales and regularly achieve top monthly sales agents for Harcourts in Paraparaumu. Doug & Jan are highly motivated and would love to assist you with your real estate needs. Rent or reside, you decide. By the Sea & Affordable? Bank said 1 house too many!! I've Got a Big Deck!!!! No Choice but to Sell!! Saying see ya in Seaview. Got to Go on Guildford!! First Time on Market Ever! Make an offer on Manawa! Psst Looking for a Cash Cow. Will be Gone By Christmas! Builder has too many houses!!! Vendor wants SOLD sign now!